Mukono Municipality member of parliament, Betty Nambooze Bakireeke has written to the attorney general seeking compensation for alleged assault. In her notice addressed to Attorney General dated July 5, Nambooze is seeking compensation for the injuries sustained following the conduct of security agencies during the conversial limit debate last year. Through her lawyers Alaka and Co Advocates and M/s Lukwago and Company Advocates, Nambooze stated that the security forces dragged her to the lobby where they allegedly assaulted her. "At some point, while being dragged, she felt a firm grip of two security operatives who held her by the lower abdomen with a grip so firm that she felt an excruciating stinging pain in her back," her letter reads in part. Nambooze did not state how much she wants the government to pay her. 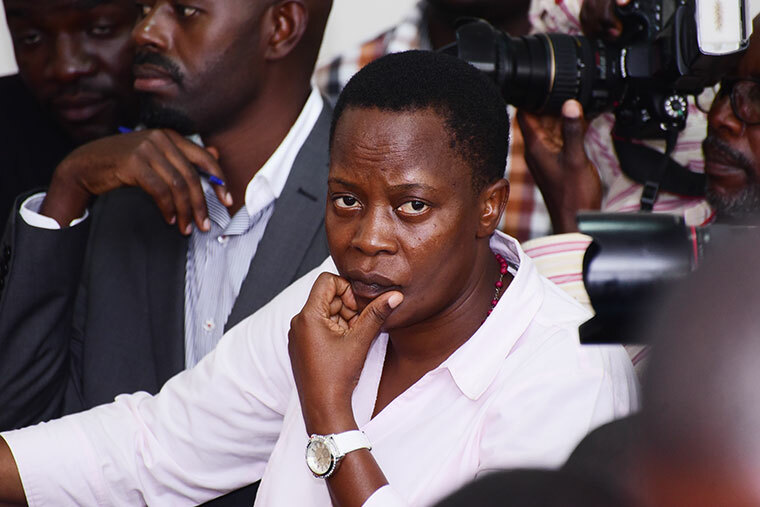 Nambooze was on Wednesday reffered to Indian for the second time in seven months for treatment on her spinal cord which was injured during the scaffle with security personnel during age limit debate as soldiers invaded the parliament. Nambooze an ardent opposition member of parliament has been critical of the ruling NRM government and was recently arrested for cyber crime and offensive communication after posting about the death of Arua Municipality member of parliament Hon Ibrahim Abiriga on her Facebook book. Her condition detoriated while in police cell forcing police to take her to Kiruddu Hospital for treatment.